Equine MediRecord is the only digital system that has been deemed compliant to replace the paper-based Medicines Register by both the Irish Horseracing Regulatory Board and the British Horseracing Authority. Our fully cloud-native solution ensures that you never lose your records, and that you can access them anywhere. Never again will a crashed computer mean hours of painstaking work recovering damaged files! Add records on your iPhone and watch them instantly appear on your desktop. No more double entry or transcribing from notebooks! 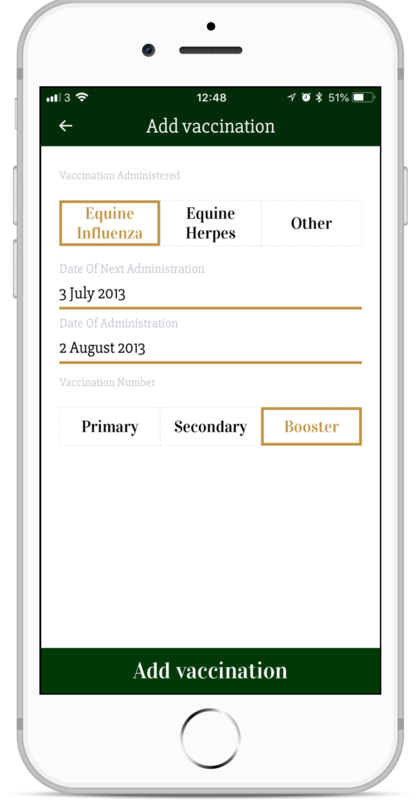 Equine MediRecord has been updated with the latest vaccination schedules for mandatory veterinary immunizations such as Equine Influenza, as well as elective ones such as Equine Herpes. We understand that the yard is a busy place. 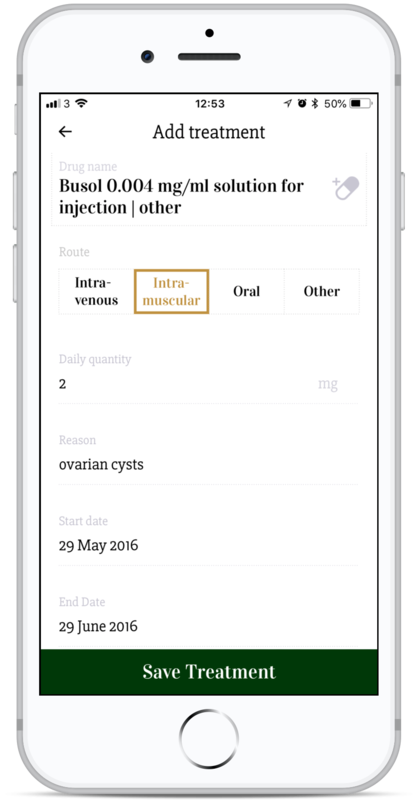 If you usually delegate the task of filling out the medicines register to an Assistant, you can still do that with Equine MediRecord. Simply invite your Assistant (or Assistants) on to the platform using their own unique logins and they can fill out the records on your behalf. When an Assistant or Vet fills out a record, the Head Trainer will get a notification informing them of the new record added, and will invite the trainer to approve the record, edit it, or reject it. We use industry-leading security practices, using a worldwide network of AWS servers to keep your data safe and sound. With Equine MediRecord you get enterprise-level security at a fraction of the price! We update our system to comply with regulation as it gets passed down from the International Federation of Horseracing Authorities, meaning if you use our system, you are always up to date with the current regulation. 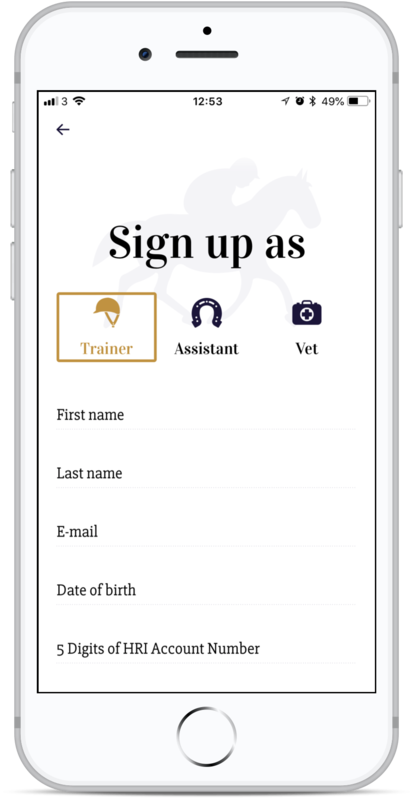 We developed Equine MediRecord in partnership with a cross-section of Trainers, Vets, Assistants and Administrators to ensure you have the most streamlined and easy to use system in your pocket at all times. Track your horses’ movements with Equine MediRecord. If the horse is returning to their owner, moving to a pre-training operation, or going to the veterinary practice for a while, record that movement on our platform to ensure that you are always compliant with regulation. Our system allows you to attach photos of prescriptions to each medical record entered on the platform. Forget the prescription details? No need to rummage through piles of paperwork to find out what you need. Simply check the photo and focus on the important aspects of running a Racing Yard. Equine MediRecord contains the full list of HPRA-Approved medications for use in the equine industry. Simply begin typing the name of the medication and the brand name and active ingredient will appear, saving you time and effort. Don’t see the medication you are looking for? Add it yourself! In addition to the full HRPA list, you can also add any off-label medicines that may be used in special cases. 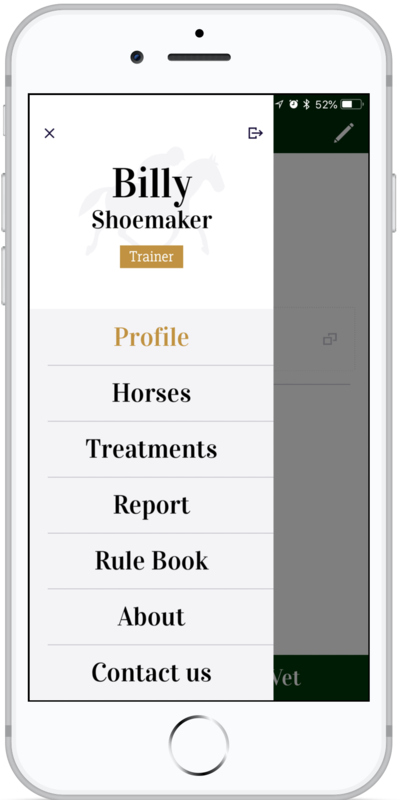 On top of mandatory record-keeping, the Equine MediRecord platform can record notes in a variety of categories. Record the horses weight, training performance, Feeding habits and even attach photos! In the event of an inspection by regulators, simply create a PDF report to either email to the regulators, or print it out in the exact format required under regulation. Choose the start and end date for the report, click “Send Report” and experience the peace of mind that with Equine MediRecord you are always in compliance with racing regulation. Know at a glance when your horses are able to race. Our system displays a red cross beside the name of any horse currently undergoing a medical treatment, reminding you to check medicine withdrawal times before entering a horse into a race. Sign Up or Download the App today and get a 1-Month Free Trial!